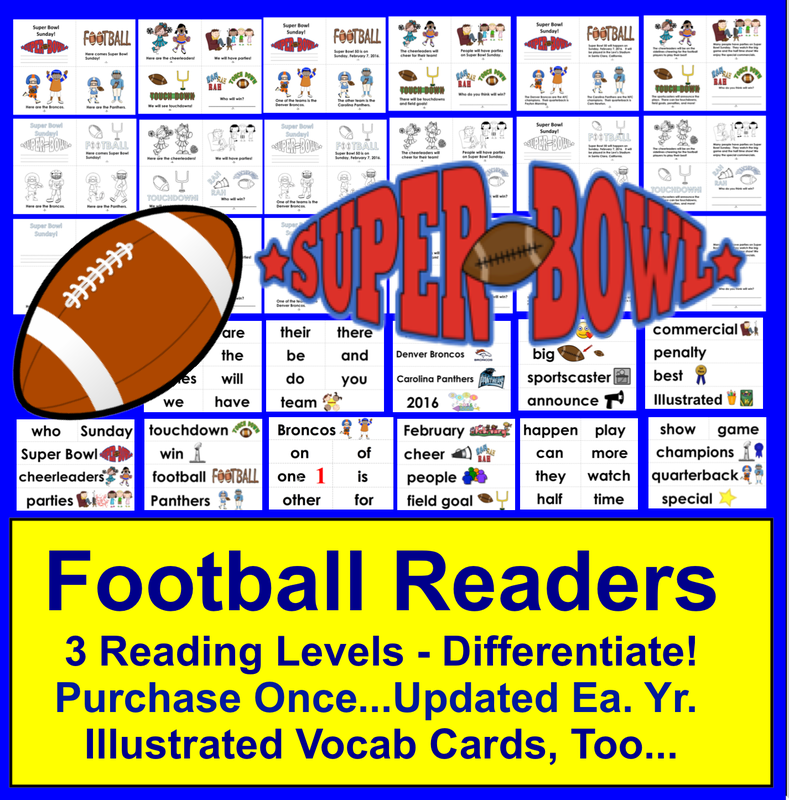 The Best of Teacher Entrepreneurs II: Football Readers For Super Sunday! Football Readers For Super Sunday! 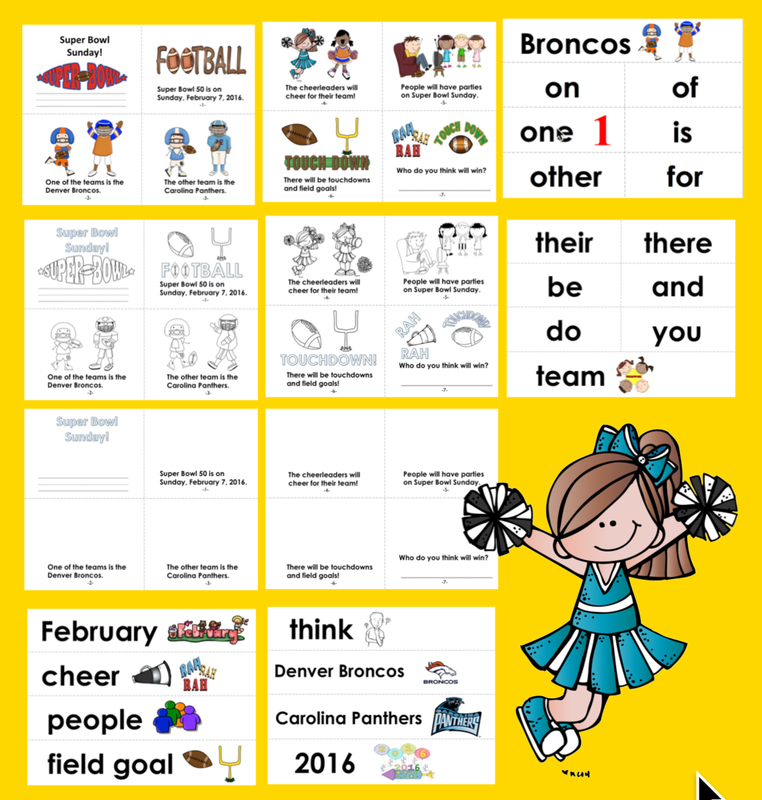 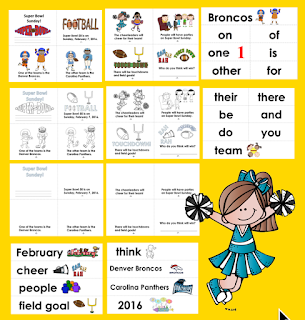 3 Reading Levels + lllustrated Vocabulary Cards for a Super Bowl Word Wall or Pocket Chart Display... Purchase once, and this file is updated each year to reflect the new game! 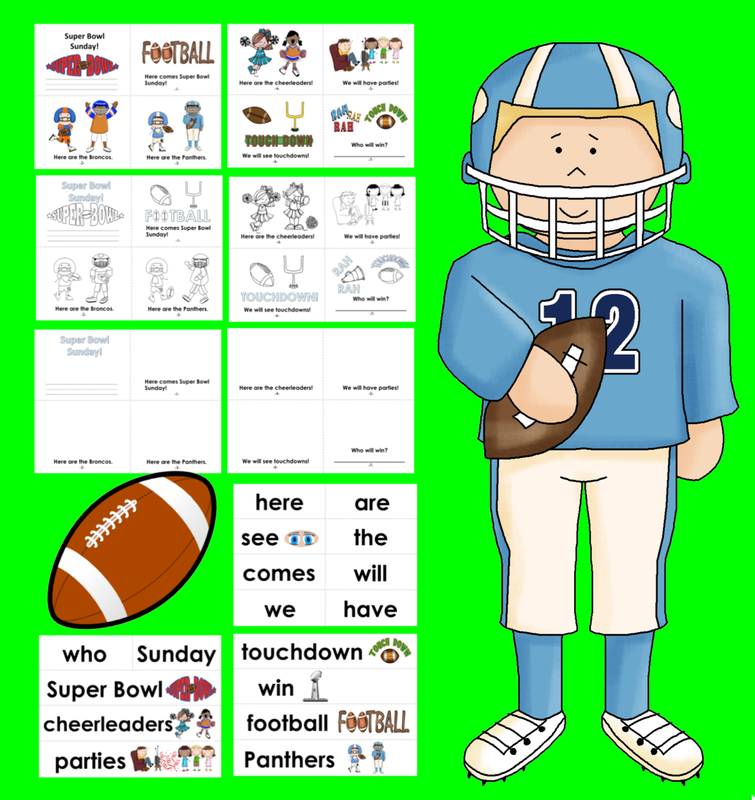 I also have lots of Football Themed Centers for Literacy and Math, including sight word recognition, onset rime word building, addition, subtraction, and fact families for both addition and subtractions as well as multiplication and division. 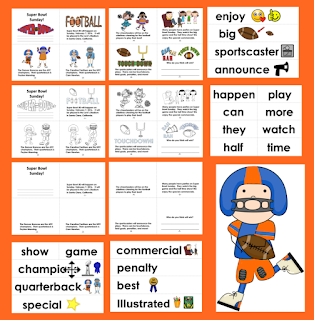 FREE MISC. 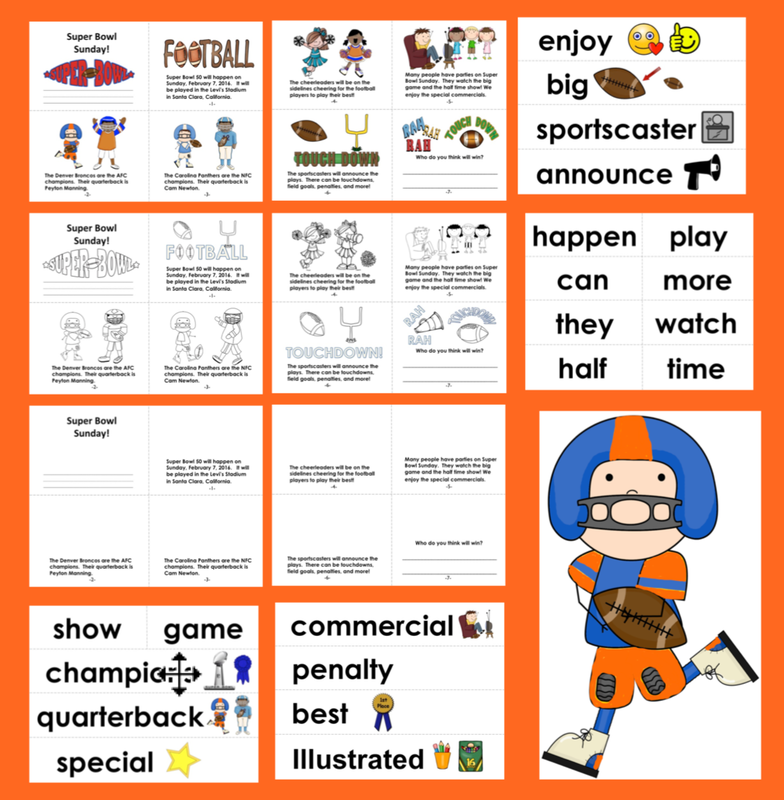 LESSON "Sports Theme Attributes"